Lending A Hand Home Care is a leading provider of in-home care in Pennsylvania. We serve clients and families in Philadelphia, Delaware County, Bucks County and Montgomery County. We provide quality and compassionate in-home care. We aim to help you maintain independence in the familiar setting which is the comfort of your own home. To ensure that you stay in an environment that you are comfortable and familiar with, our care team will be the one to visit your home and deliver the right care services to you. We believe that we will be able to help you spend more time with your family, friends and loved ones by providing our home care services directly in your own home. 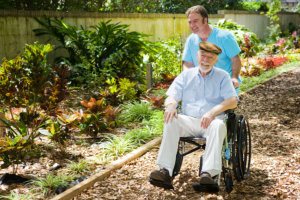 This way, you will be able to recover quickly since you are surrounded by emotional support of the people you love. To take advantage of the services offered by Lending A Hand Home Care, please call us at 215-722-1712 for more details.